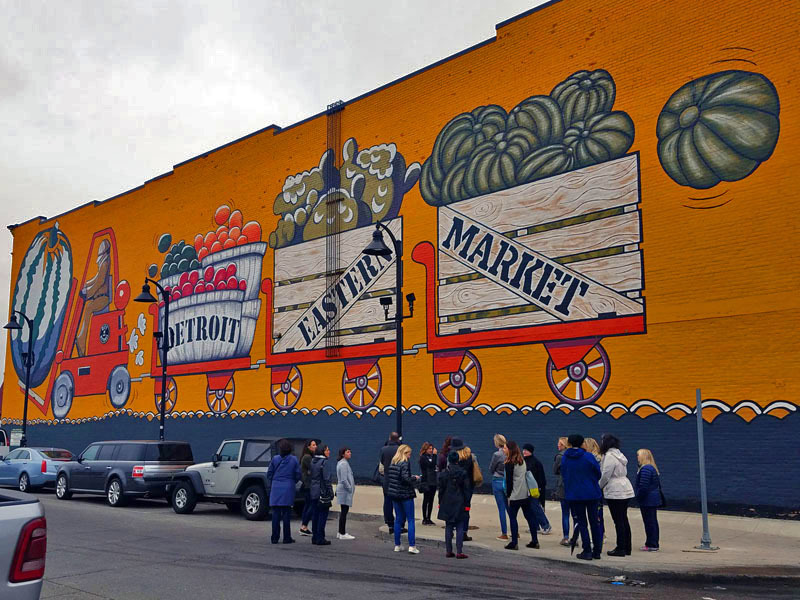 I’ve spent a lot of time in Detroit, but have not had many chances to dive deeper into all the great treasures of the city. 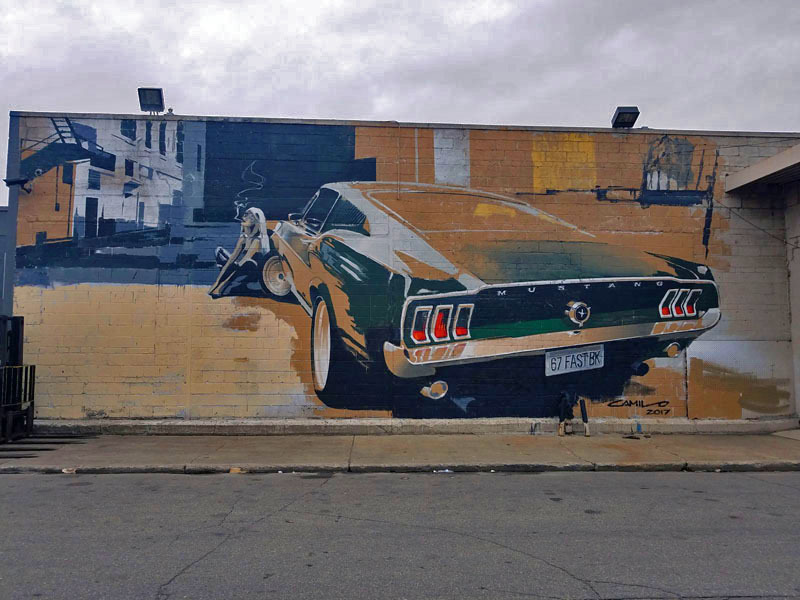 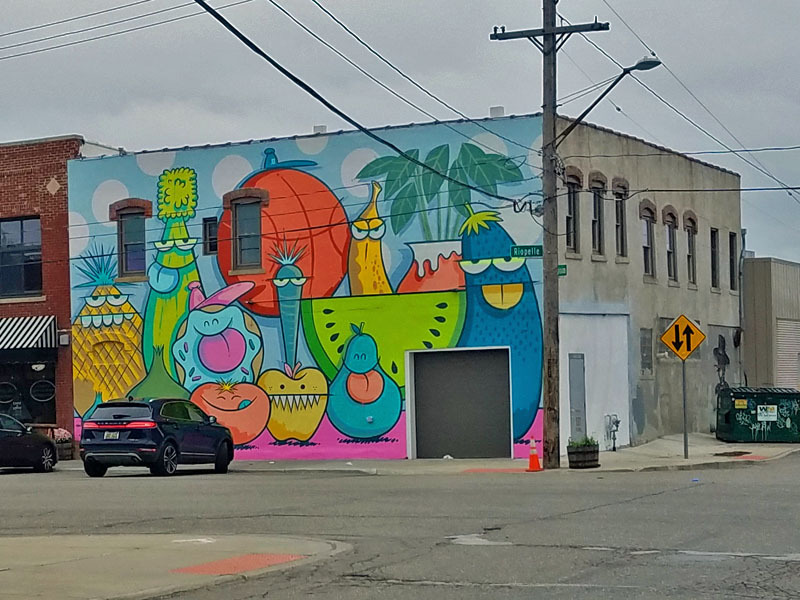 On Saturday, I took part in the first Detroit Mural Photo Walk organized by David Lingholm. 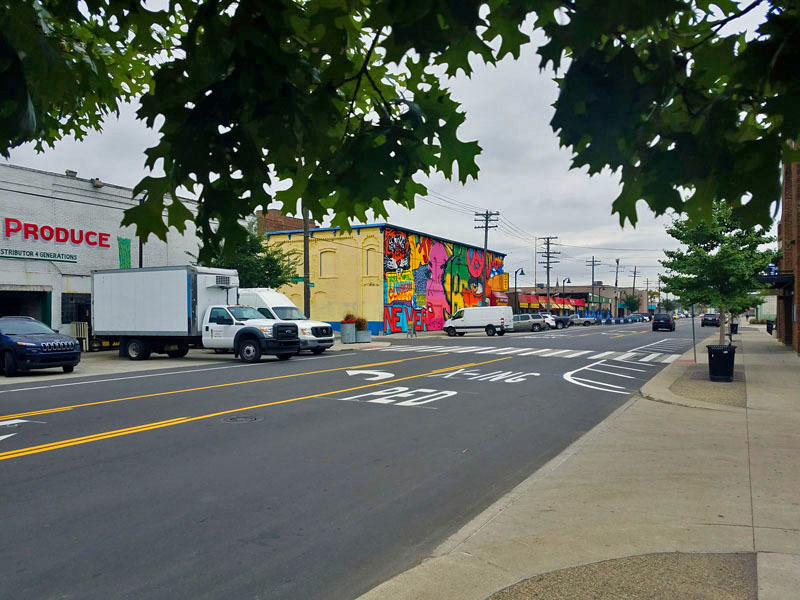 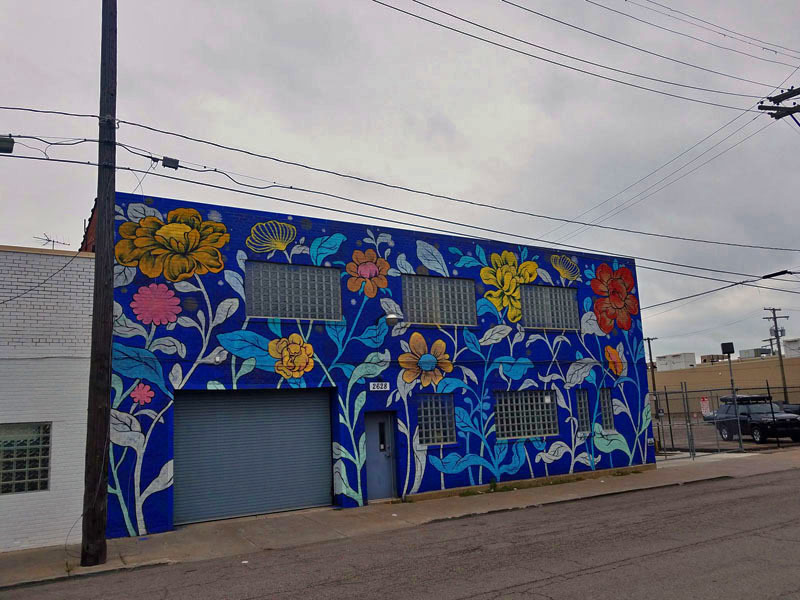 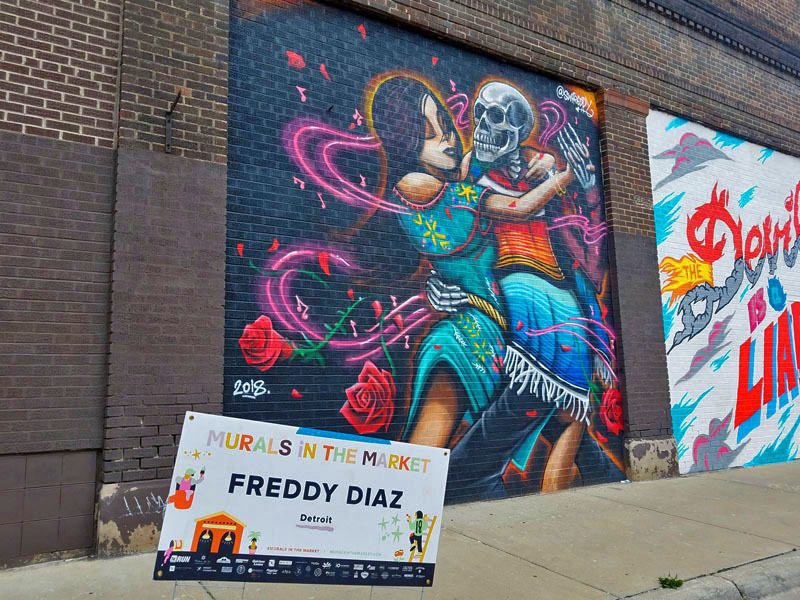 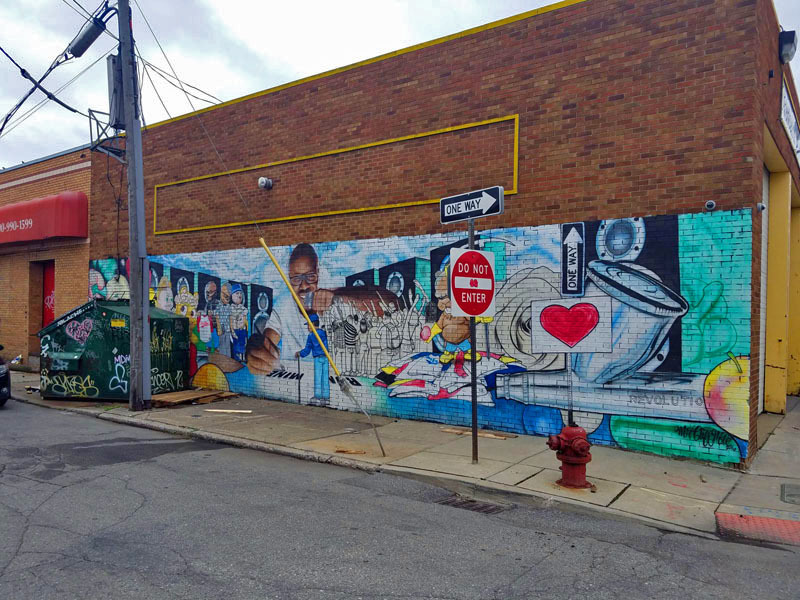 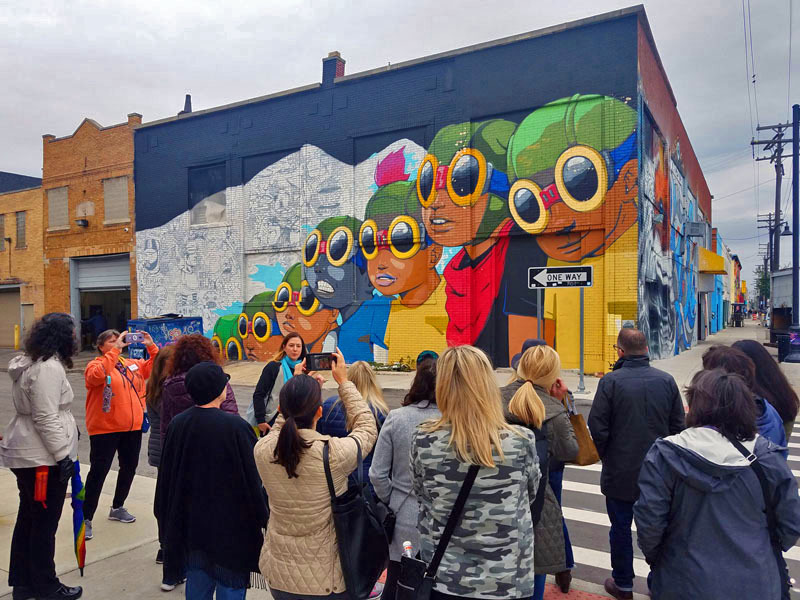 I was amazed at the different murals we saw from Techtown and the North End, to the Woodbridge neighborhood and Mexicantown and the stories and passion behind each one. 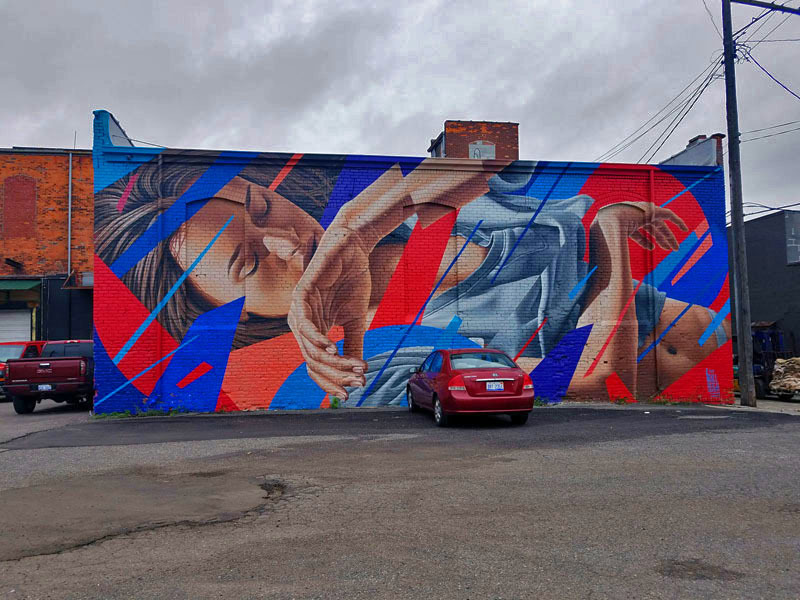 As with all art and expression, it’s amazing to see how each piece touches people so differently. 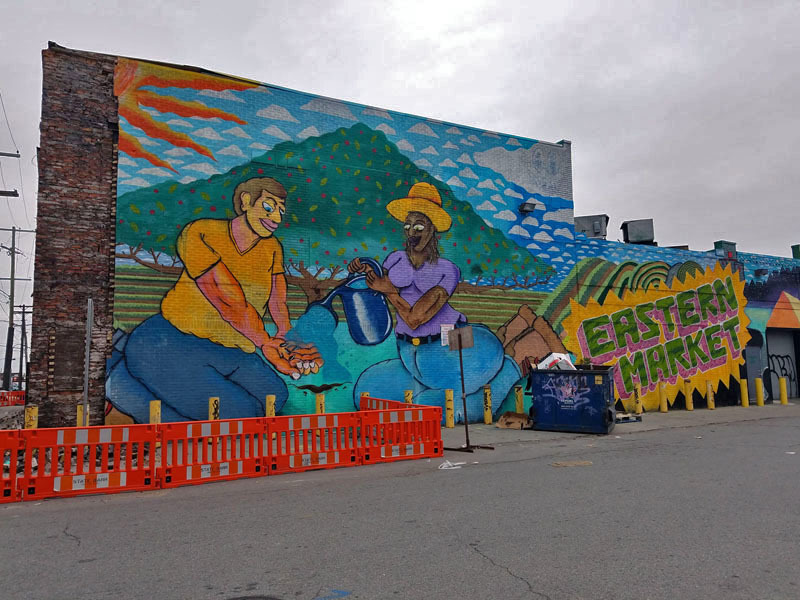 With my love for geography and the weather, one that touched me was “The Water Cycle” mural by Marianne Audrey Burrows. 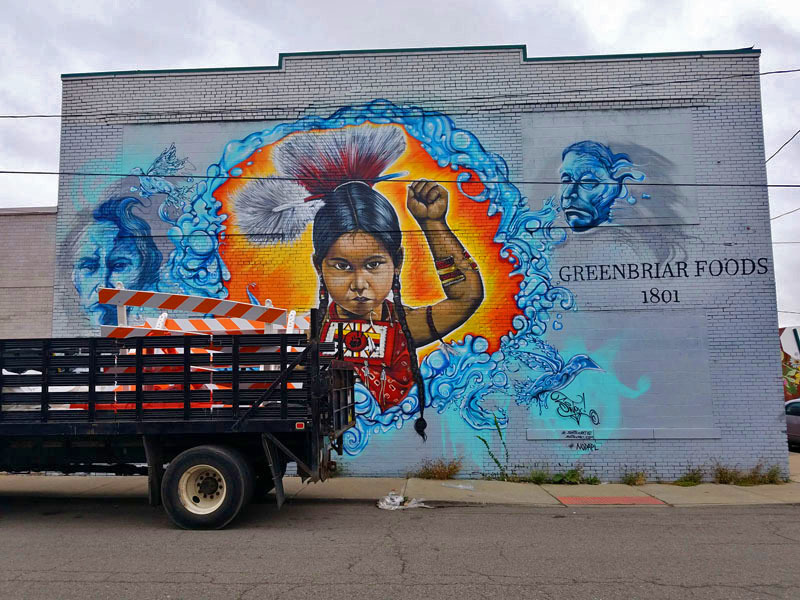 It showcases Detroit and Windsor with water coming off (as vapors) and down (as rain) into the Detroit River. 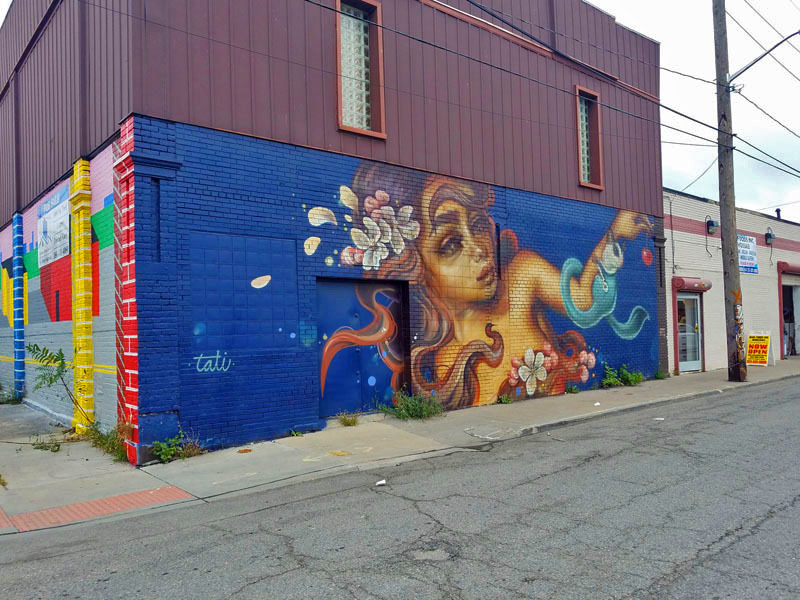 The use of the blue colors to depict the clouds, sky and water, made me as speechless, as any great weather art piece could. 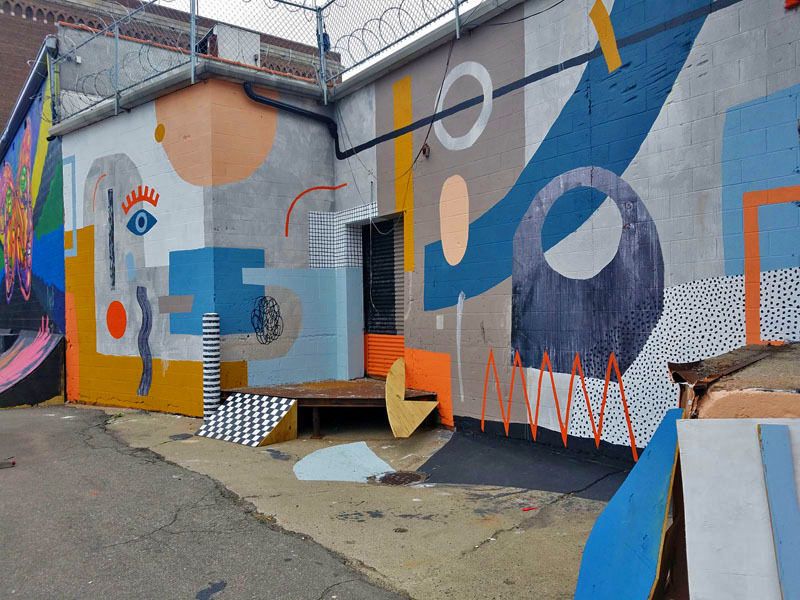 We even had the chance to see a mural in the making as an artist was in creation mode at Recycle Here! 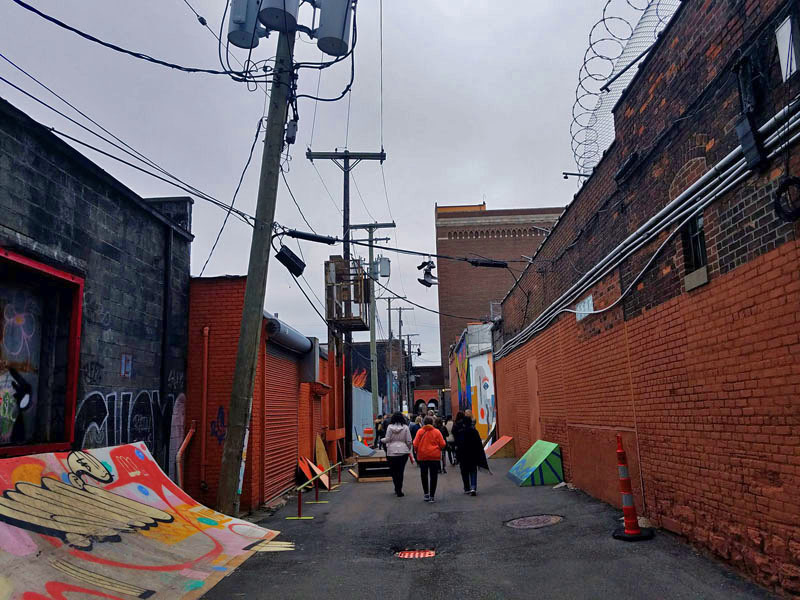 A stop in Mexicantown made for a great end of the day, as the stories and conversation continued to flow amongst new friends, with great food and drinks at Los Galanes. 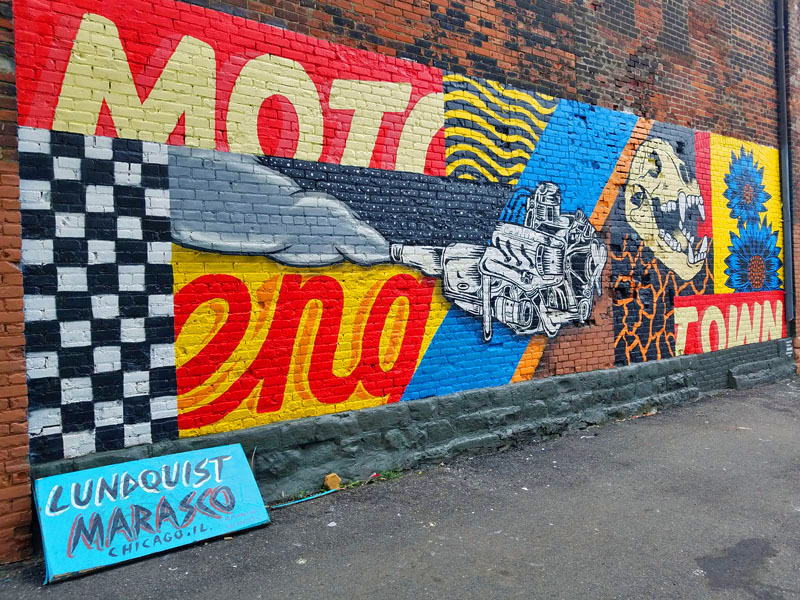 Check out all my photos from the photo walk. 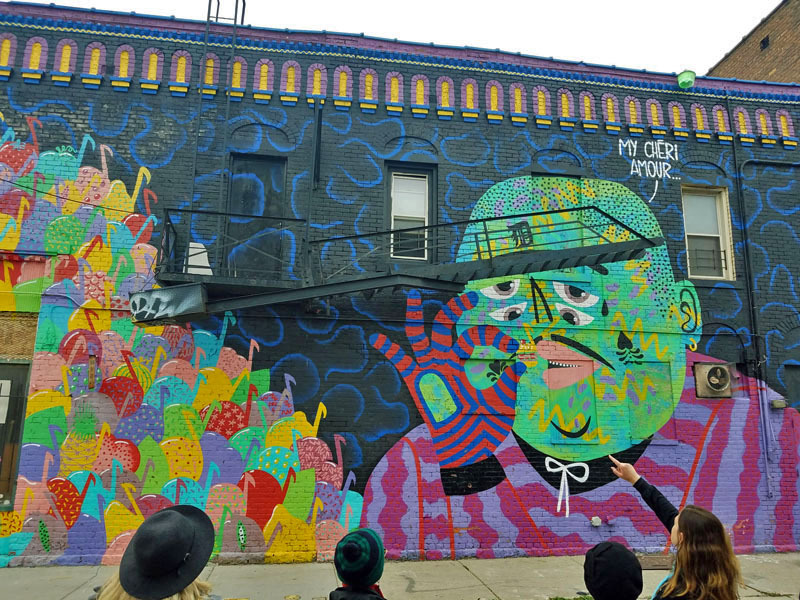 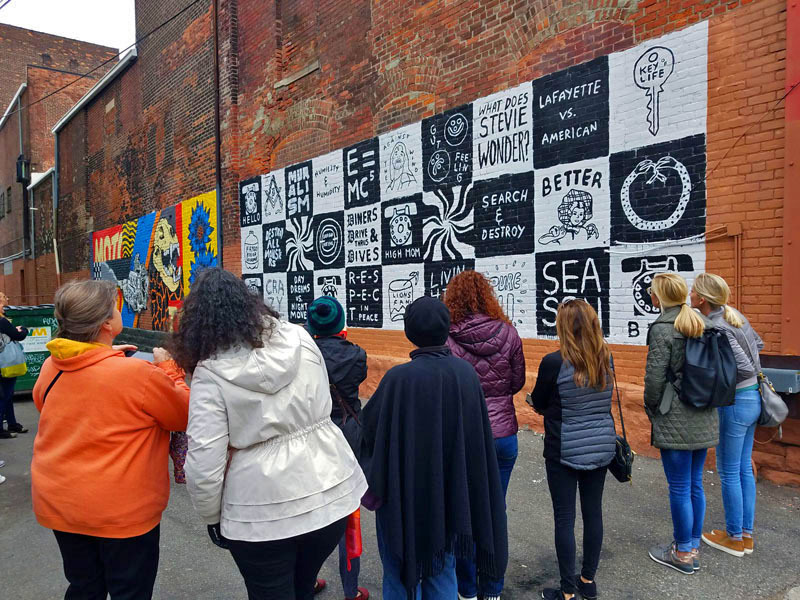 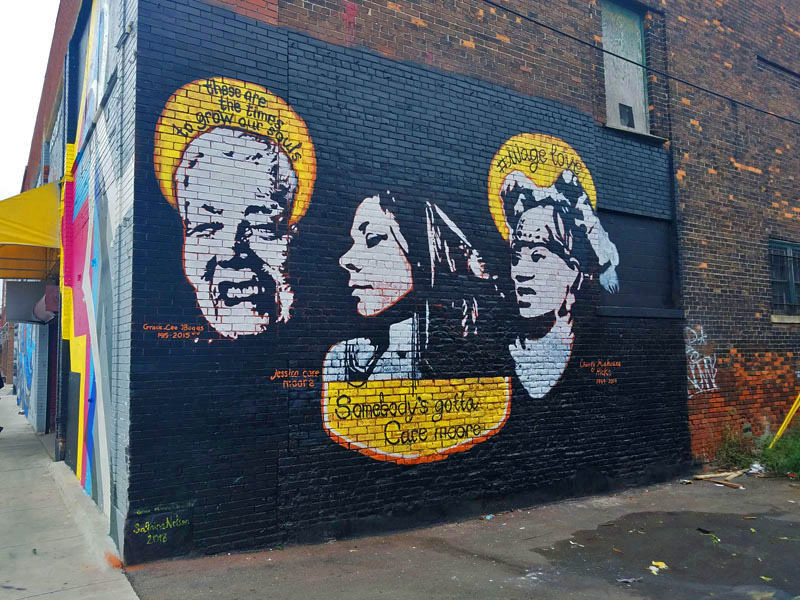 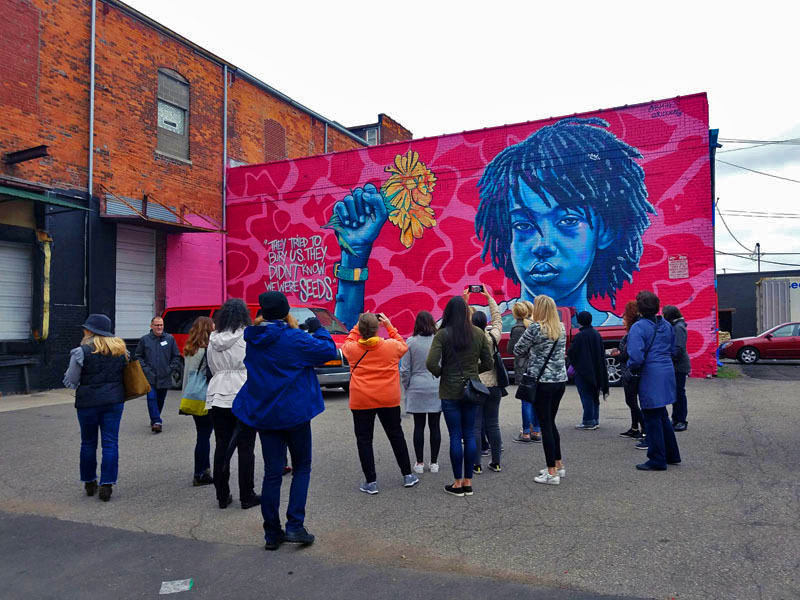 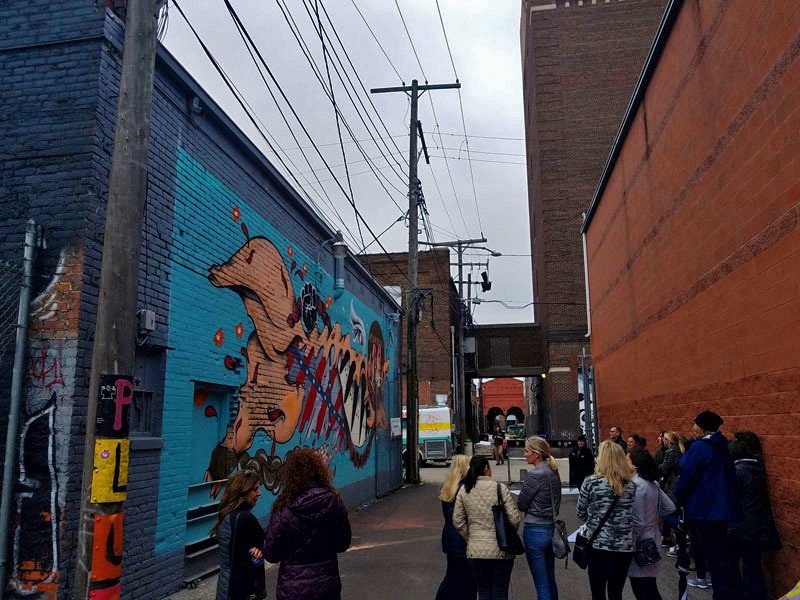 Checkout David Lingholm’s thoughts on this great journey in Mural walk brings metro Detroiters together.. Also check out some of the other stories and photos from Mike Han, Amy K. Senese, Angela Watts and Drew Wright. 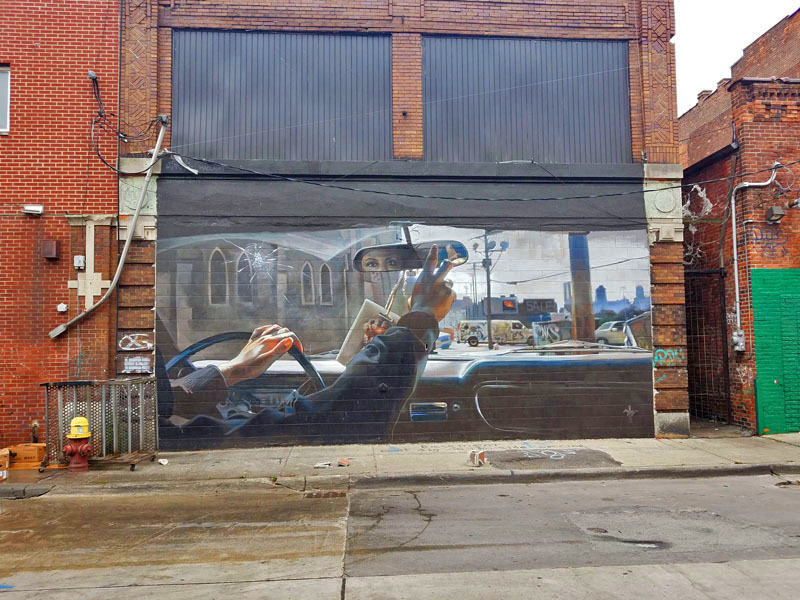 Already looking forward to the next one.